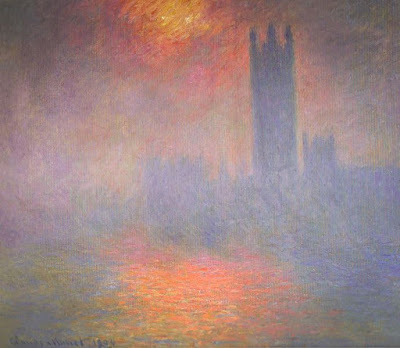 Claude Monet: London, Houses of Parliament. Voting is now open for the 2018 (APPJAG) Parliamentary Jazz Awards. Entries are open to anyone with the final deadline for entries set for 12 noon on Wednesday 4 July 2018. The full process of nomination and selection is explained on the APPJAG site, which is administered by Chris Hodgkins. This is an extract. "The first round is by public nomination for the categories. The 2017 Awards received 3250 nominations. The second round is the short listing process by a panel made up from the jazz constituency. The panel includes, promoters, musicians, journalists, the media, people from jazz education and managers"
For reference, here are LJN's Bands/Musicians of the Year and Albums of the Year for 2017. The awards ceremony will take place on Tuesday 16 October at PizzaExpress Live (Holborn). Services to Jazz Award (to a living person for their outstanding contribution to jazz in the UK).